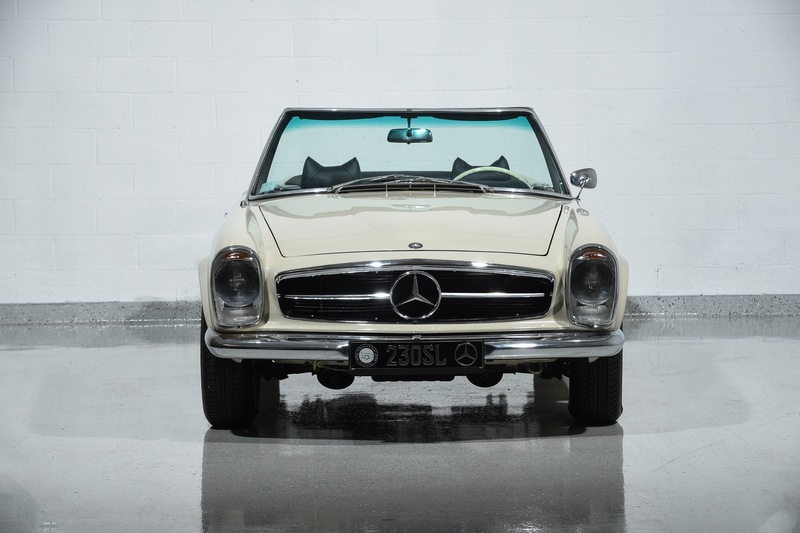 1967 MERCEDES 230SL for sale. 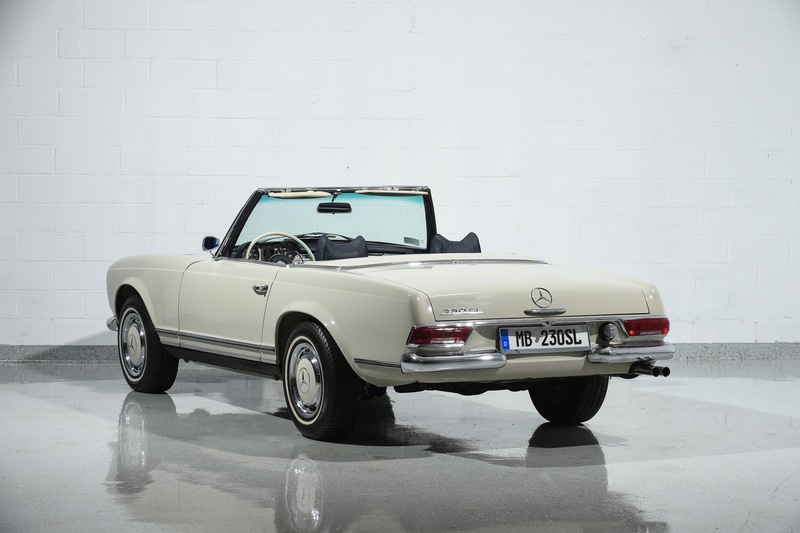 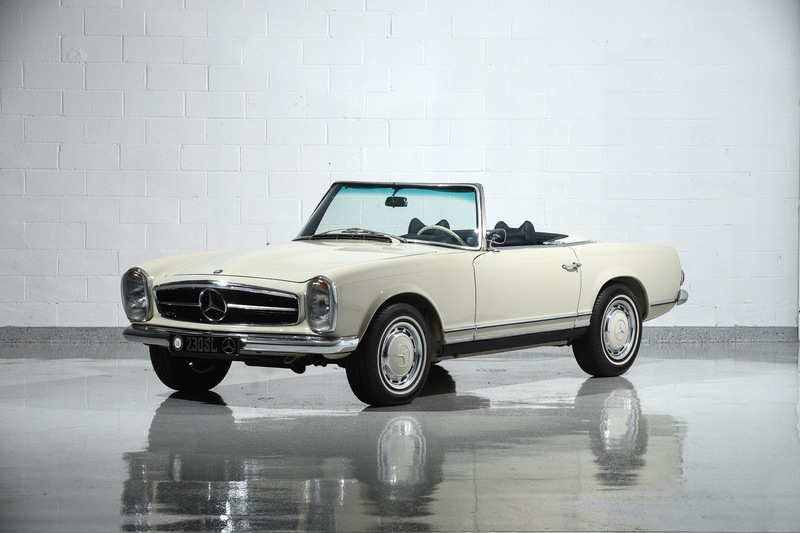 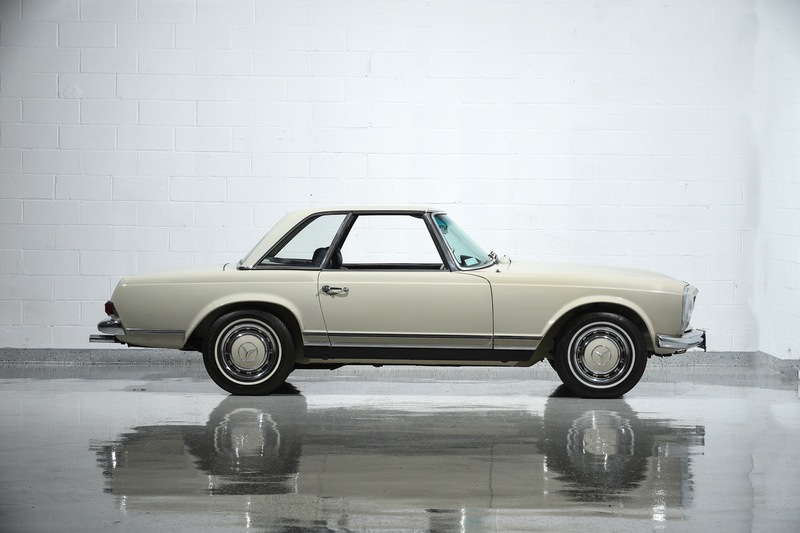 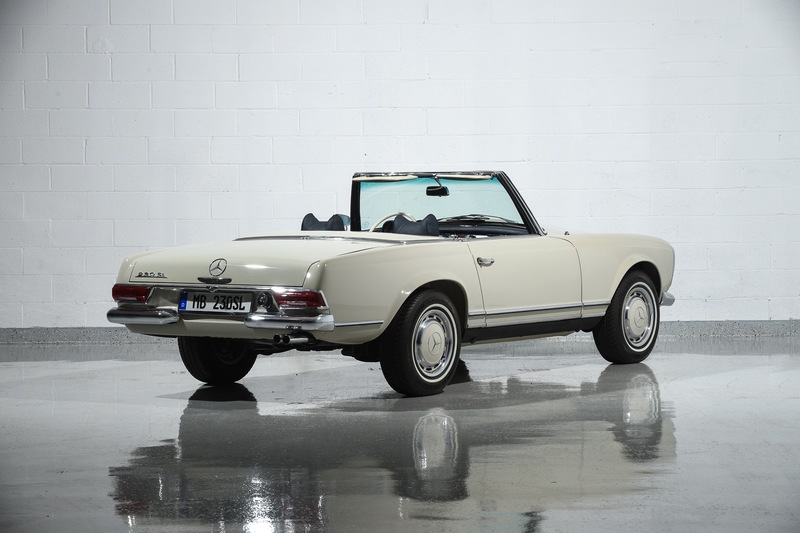 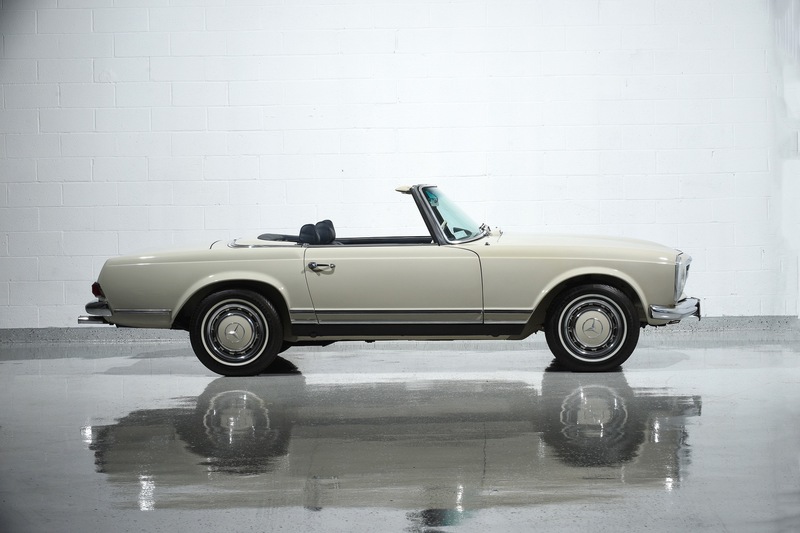 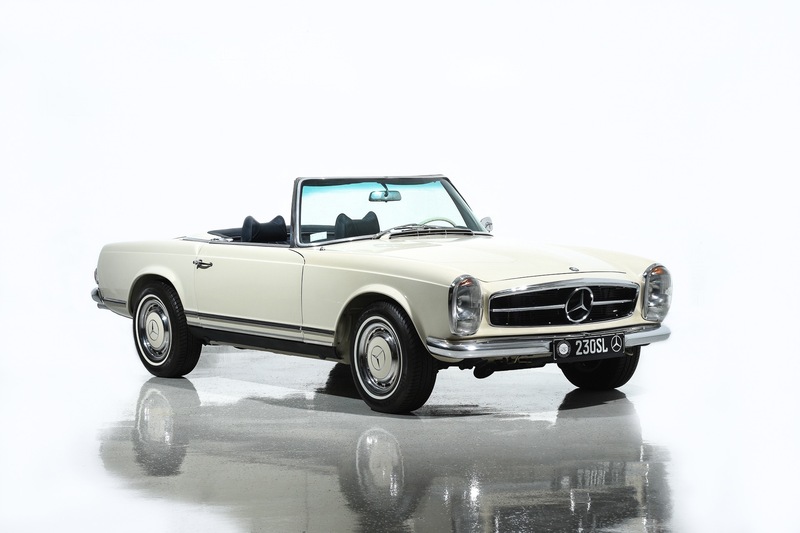 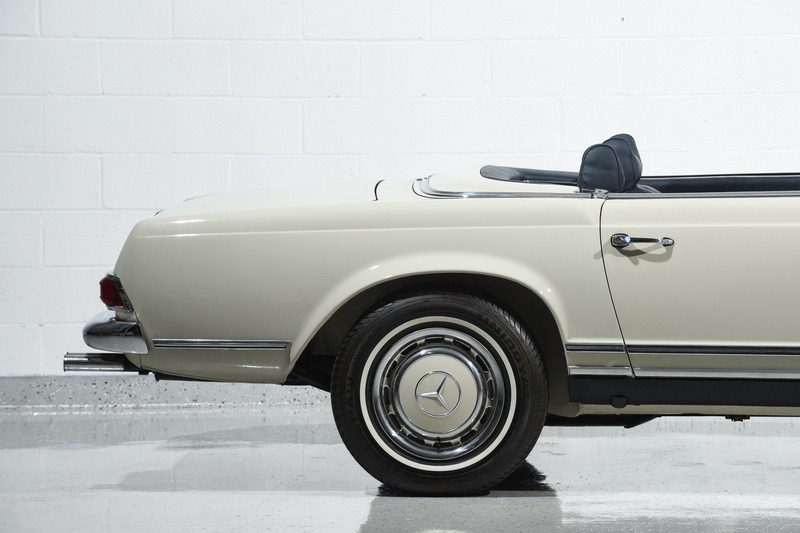 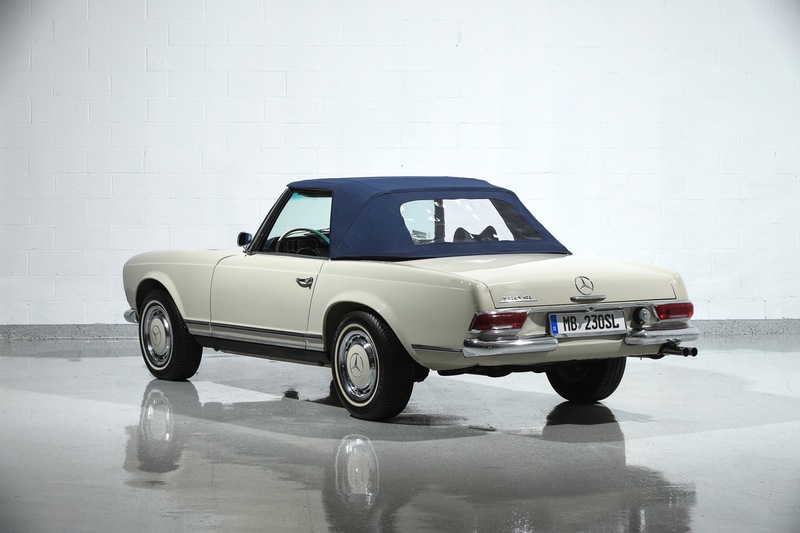 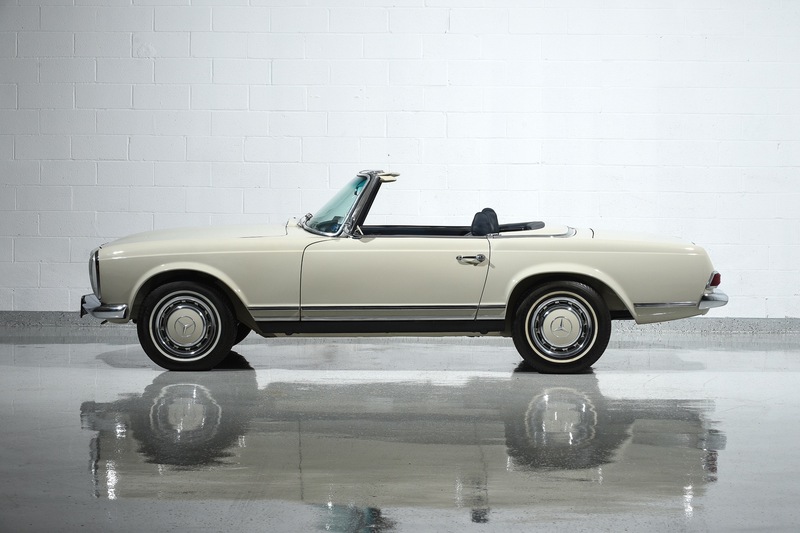 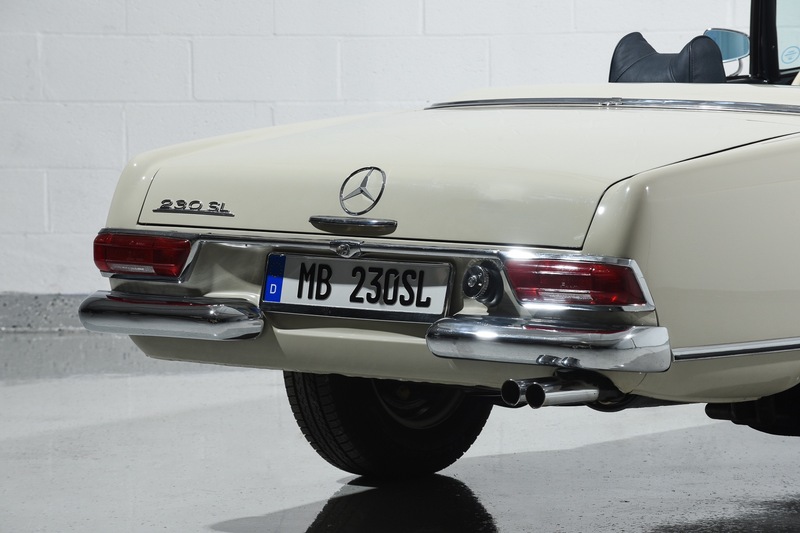 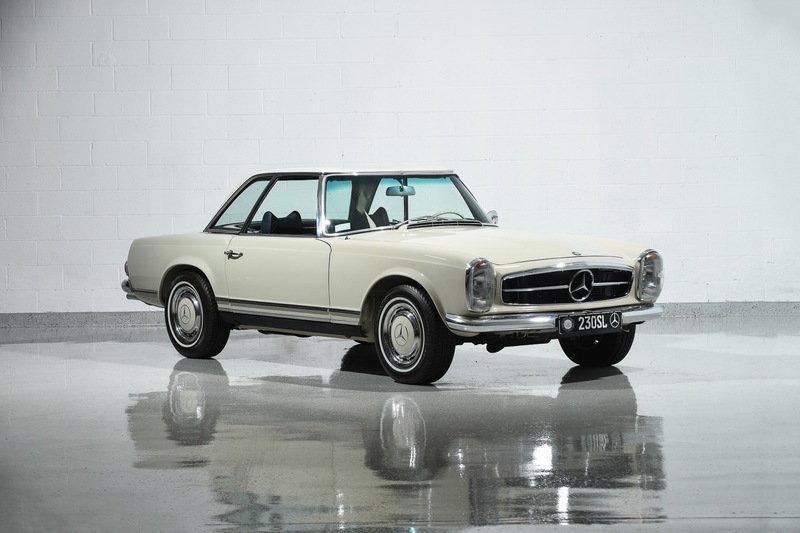 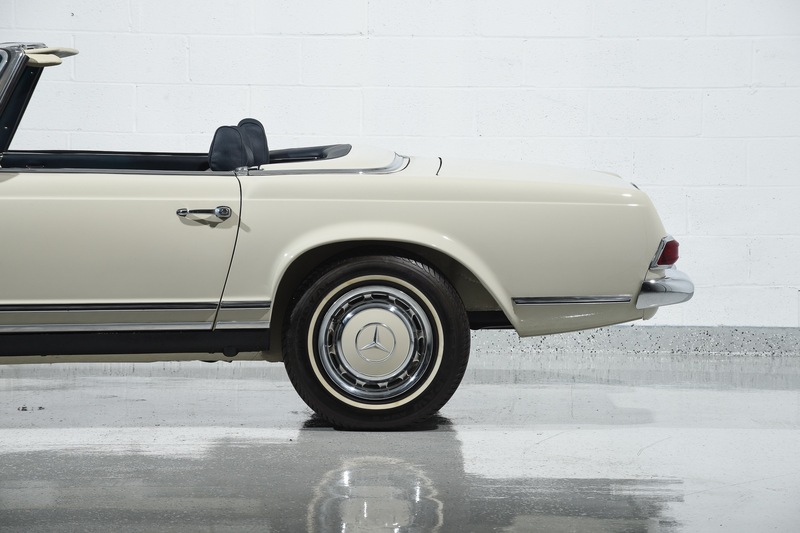 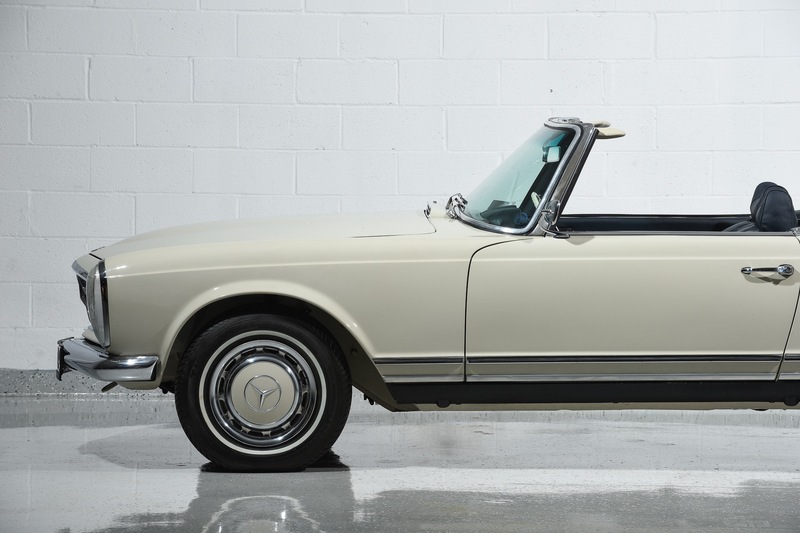 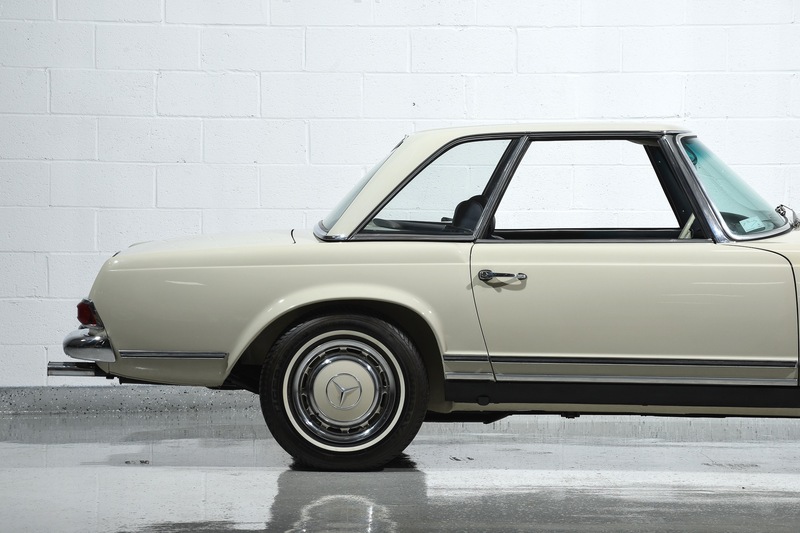 Motorcar Classics is excited to offer this outstanding 1967 Mercedes 230SL Roadster. 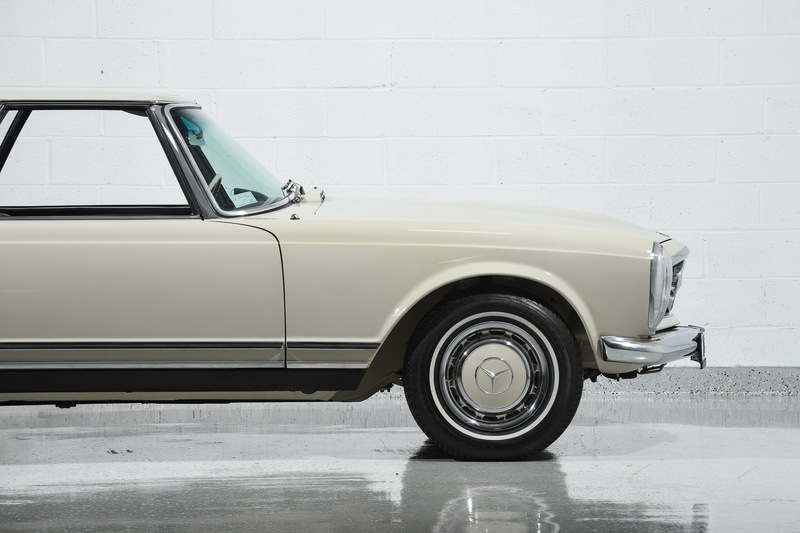 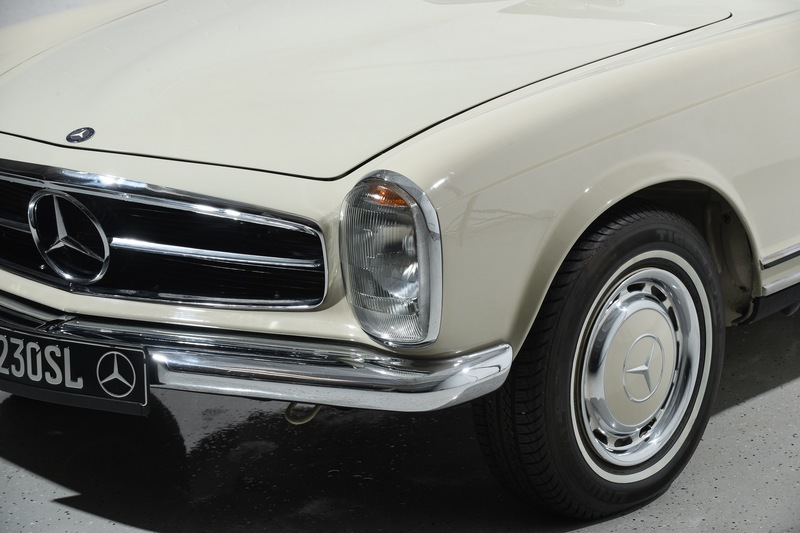 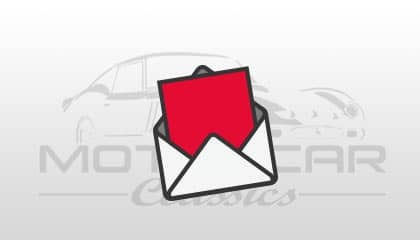 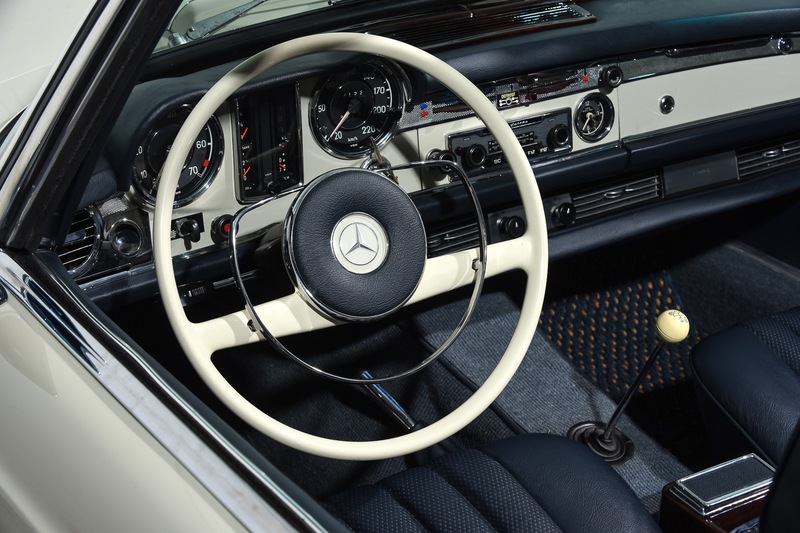 The 230SL was the first of the W113 range and many enthusiasts consider it the purest expression of the design. 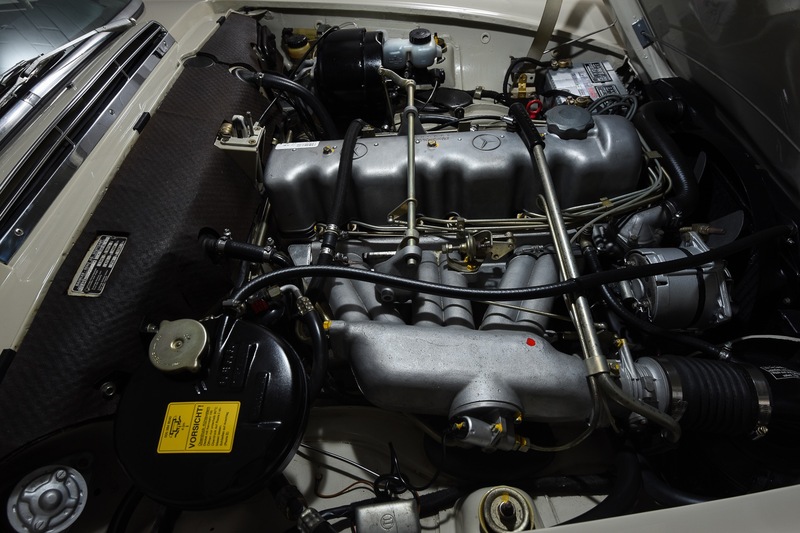 This car has less than 200 miles on a complete nut and bolt restoration which included a mechanical rebuild. 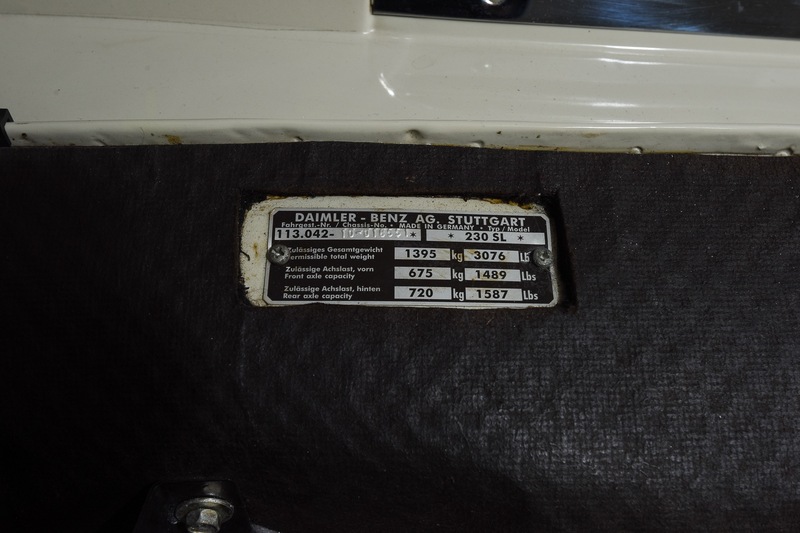 It has all original body panels and matching numbers. 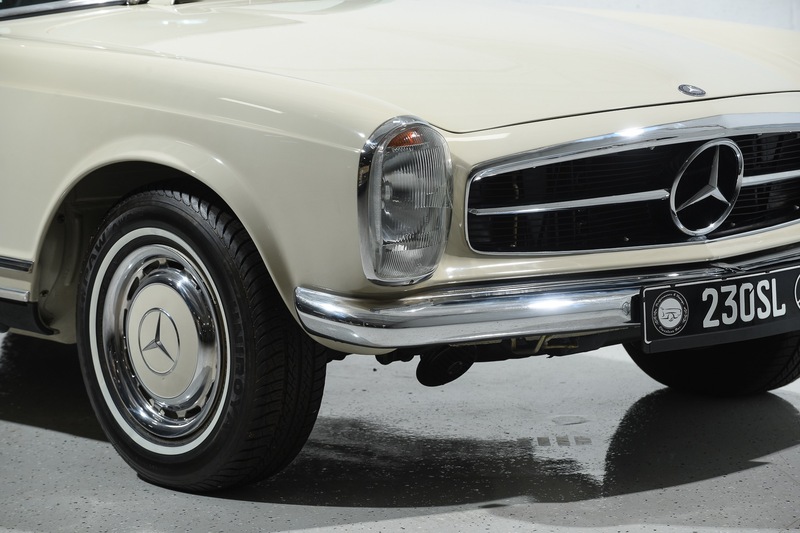 The car is finished in Mercedes #158H White Grey with matching removable Pagoda hard top. 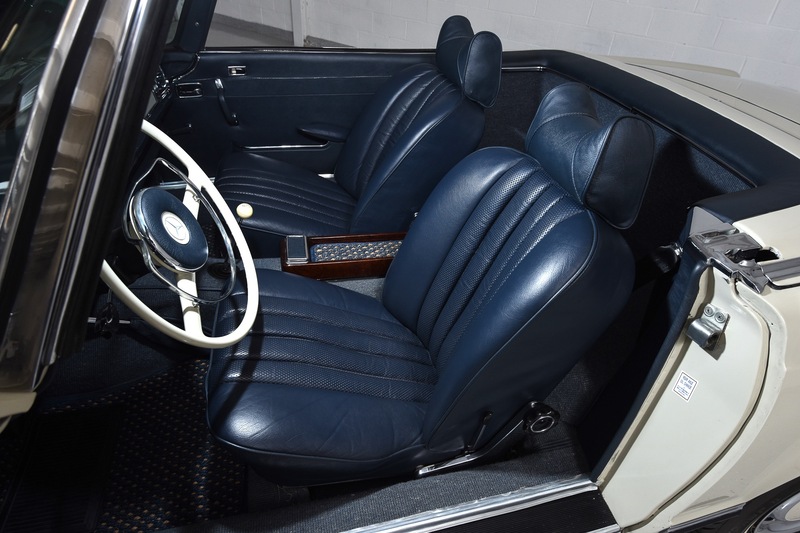 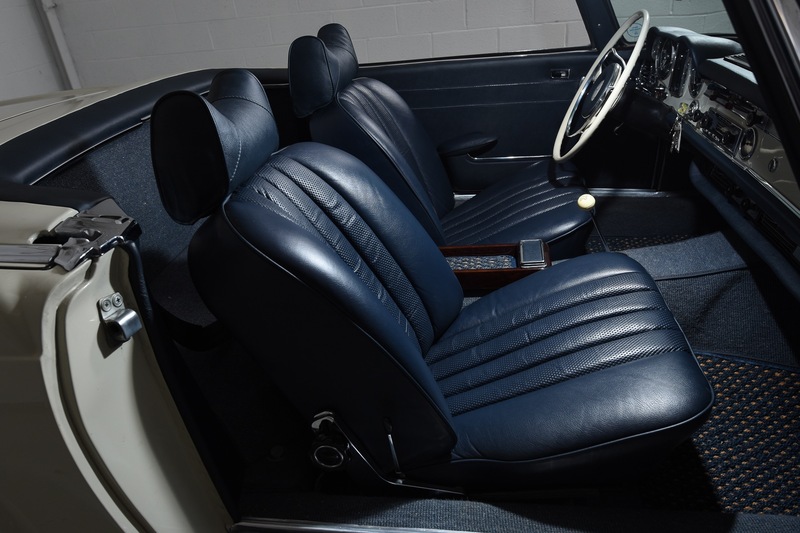 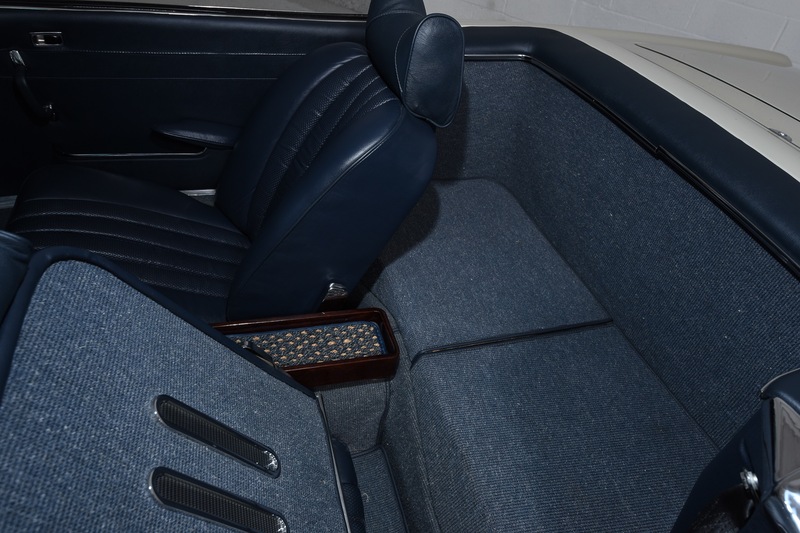 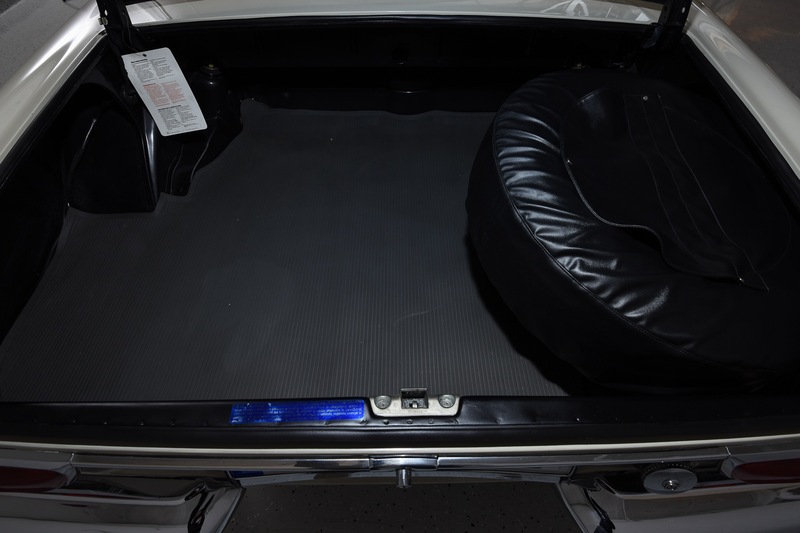 The interior is Blue leather and it has a matching Blue canvas convertible top. 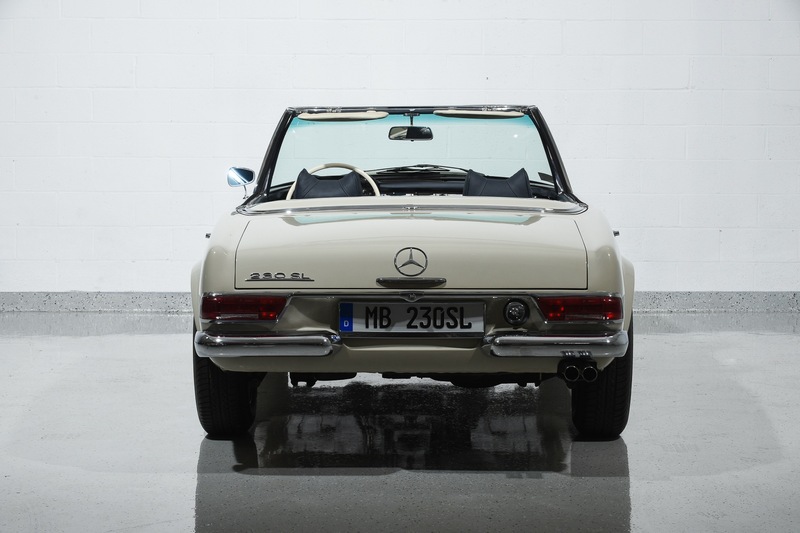 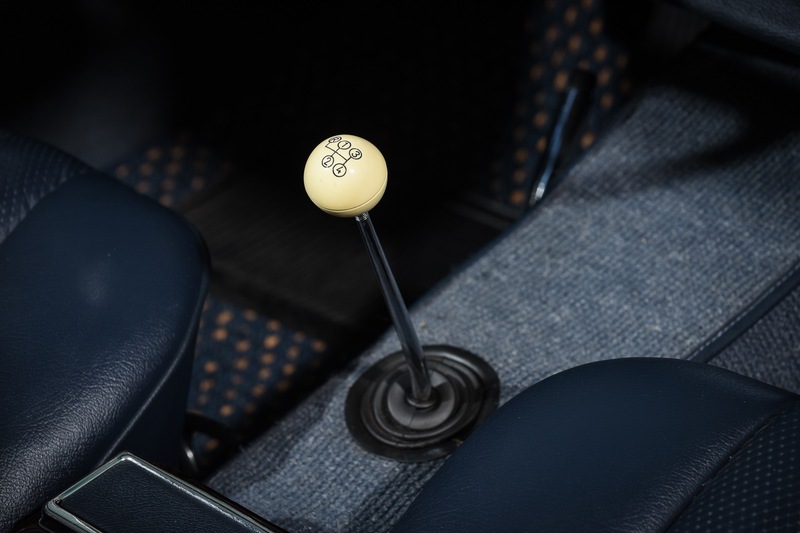 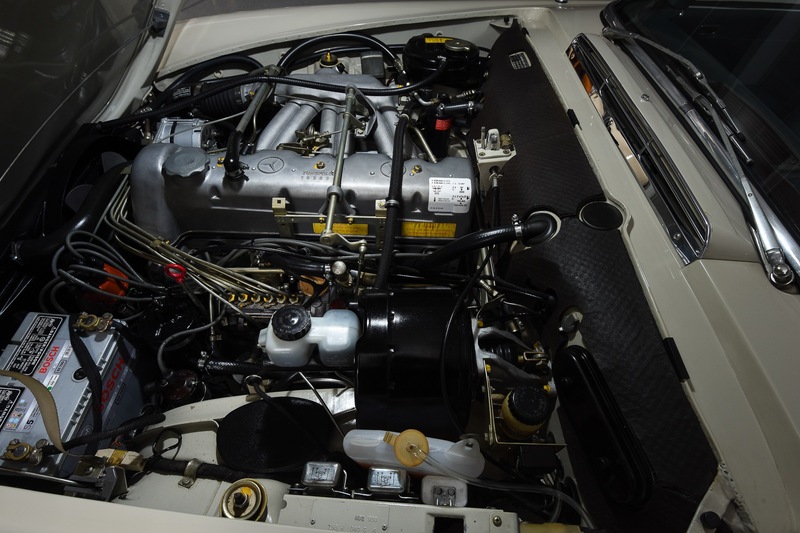 Our 230SL has the rare 4-speed manual gearbox and factory power steering. 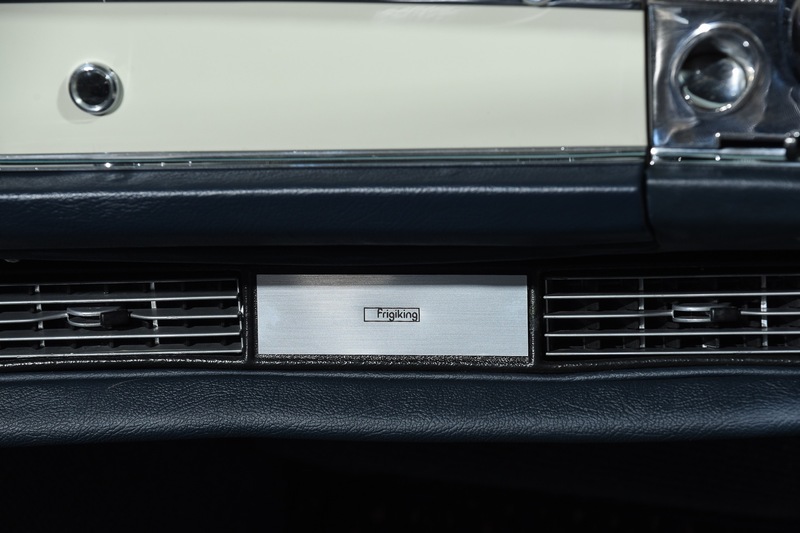 It also features the dealer-installed Frigiking air-conditioning unit. 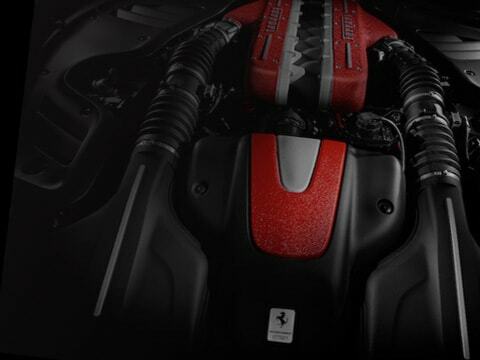 This is, indeed, a rare combination of features. 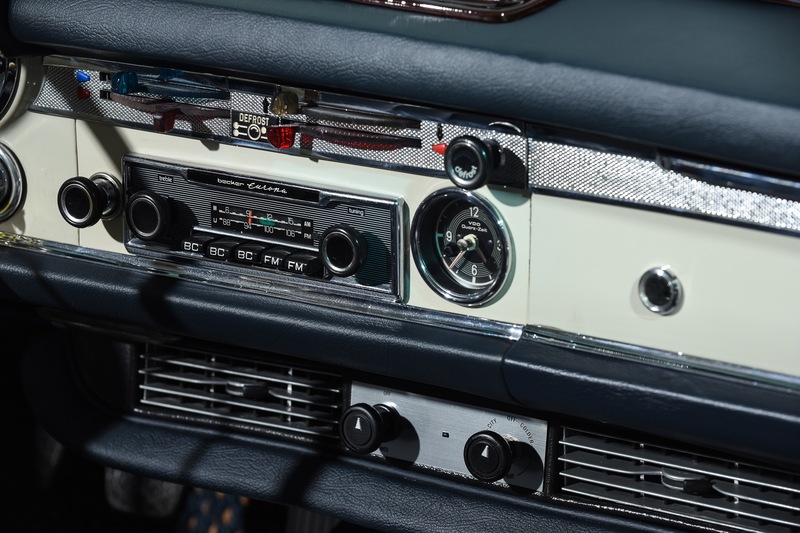 The original Becker Europa radio is still fitted. 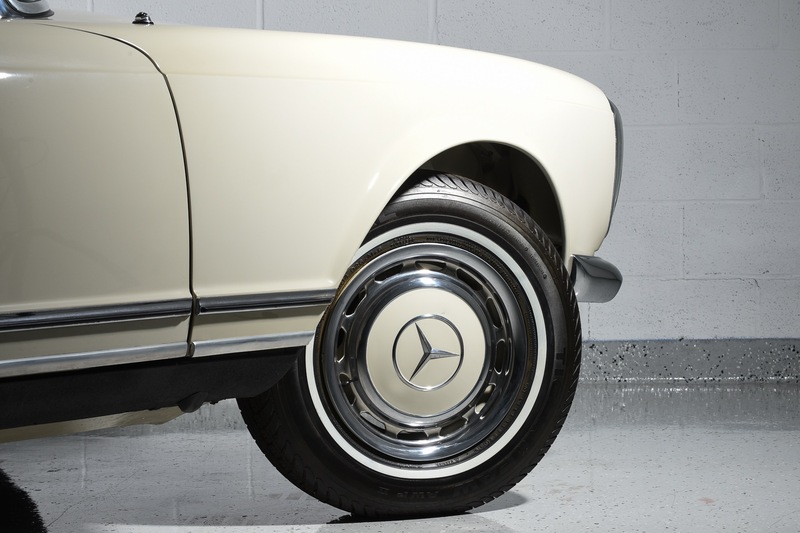 All of the W113 variants are known for their timeless design and quality construction. 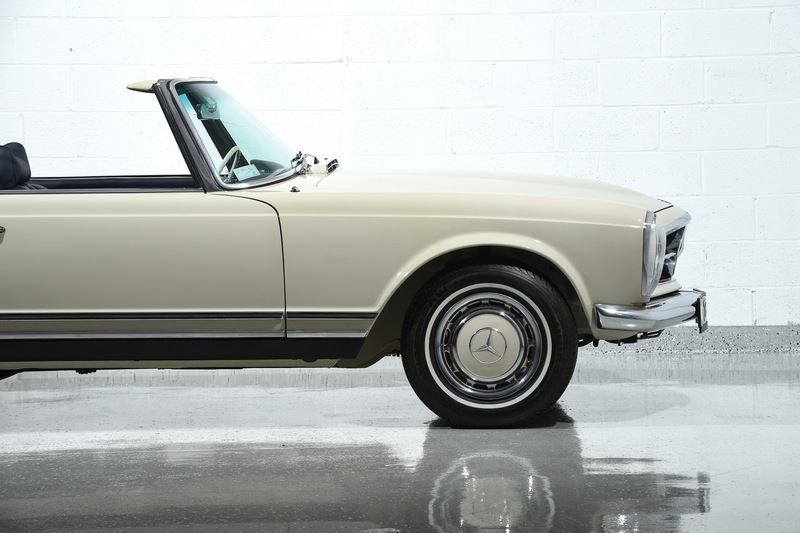 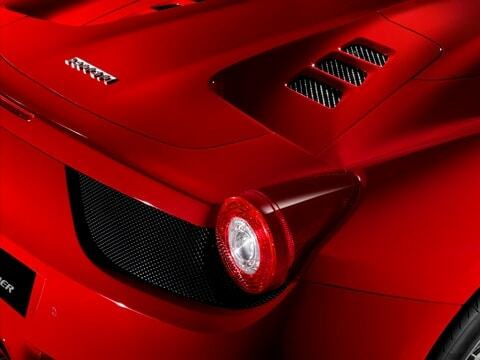 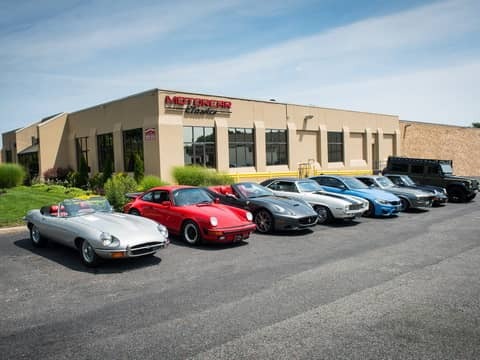 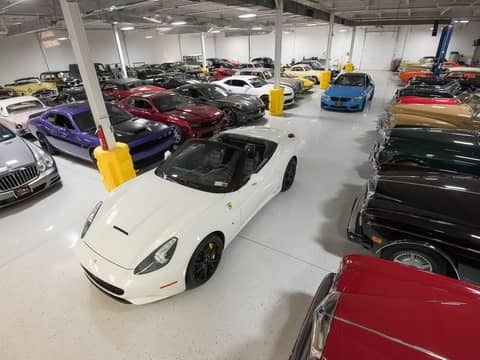 This is an investment-grade example that you can drive or show with pride.